Washington Post: I have a Wow Air ticket - what happens now? 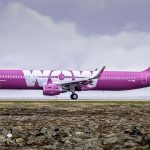 Washington Post, March 28 2019 – I have a Wow Air ticket – what happens now? For a straighter path to compensation, check your travel insurance policy — assuming you bought one, of course. If the trip interruption coverage includes financial default, you could recoup the additional travel expenses, including flights that are higher than your original fare, meals, accommodations and local transportation fees related to the delay or disruption. Hummer reminds policyholders that financial default comes with a few restrictions, such as you must have bought the policy within 10 to 21 days of your initial trip deposit and coverage is not available for the first 10 to 14 days after the purchase of the policy.